A federal judge has ruled that a statewide recount of Michigan’s presidential ballots is mandatory and must be completed by December 13th. Here in Alpena County, the Clerk’s Office is working with surrounding communities to complete the tedious process. The recount comes after a motion filed by Green Party Presidential Candidate Jill Stein, who claims that machines used to count ballots in Michigan, are extremely unreliable and prone to error. For the recount, counties in Michigan will be pressured to train and hire workers to count ballots for the day, a reason why the Michigan Republican Party is upset with the ruling. 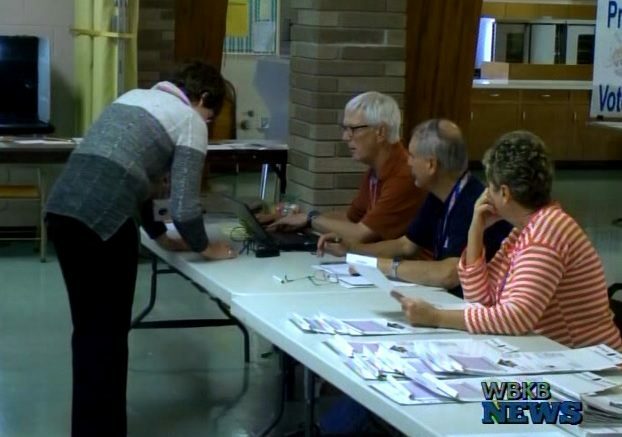 Alpena will be a regional hub for the process and together with Presque Isle and Montmorency Counties will count ballots at the Hillman Community Center this Sunday. The process is tedious but is expected to take just one day. “We’ll be verifying the seals on the containers to be sure if they match the poll books, then if they match, we will open the containers and do a physical count of the ballots that are in there and dividing them into piles by the candidates, and verify the number of votes each candidate has received,” says Alpena County Clerk Bonnie Friedrichs. Higher–ups in the Michigan Republican Party are voicing their distaste for the ruling, with party Chairman Ronna Romney McDaniel saying they are outraged that Jill Stein is trying to use the courts to change the outcome of the Michigan election; adding that she believes the recount is an incredible waste of Michigan taxpayers’ money. Many people are questioning the reasoning for a recount, as experts do not expect the outcome of the election to change.